These beautiful, hard fighting fish are among the most sought after trophies for fly fishermen across the west. It is hard not to appreciate the rainbow trout’s magnificence. Especially for anyone who has seen one launch out of the water towards the sky while connected to their line. 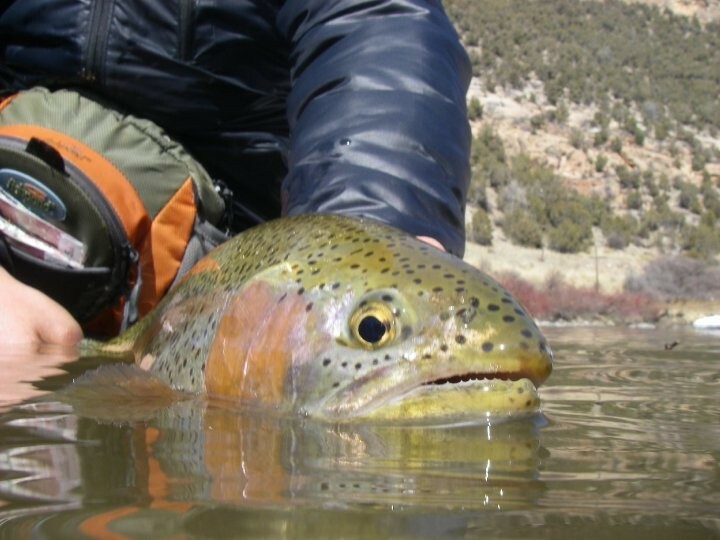 Mid March typically marks the beginning of spawning season for rainbow trout here in the Rockies. 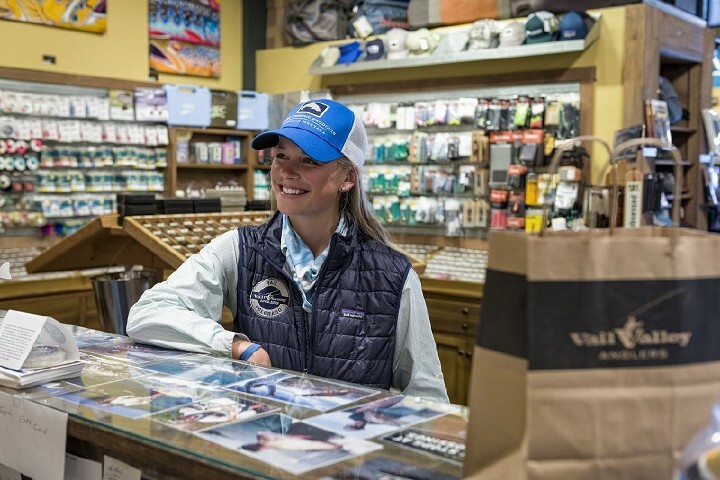 For those planning to fish throughout this years rainbow trout spawning season, there are a few etiquette tips to remember in order to avoid interrupting the reproductive process. The rainbows have a reproductive cycle similar to other trout. They begin migrating upstream (many miles in some cases) to dig shallow depressions in patches of gravel called redds. The female trout cleans sediment and debris away from the redds by vigorously fanning her tail fins against the stream bed. This process is necessary because fine silt and debris can prevent water from reaching the eggs and bringing oxygen to the unhatched fry. It is in these carefully built and maintained nests where the female trout lays eggs to be later fertilized by male fish. The fertilized eggs are covered up by more gravel where they will stay protected until they hatch several weeks later. The confluences of small, clear flowing tributaries into larger watersheds are often very popular spawning locations for for rainbow trout. 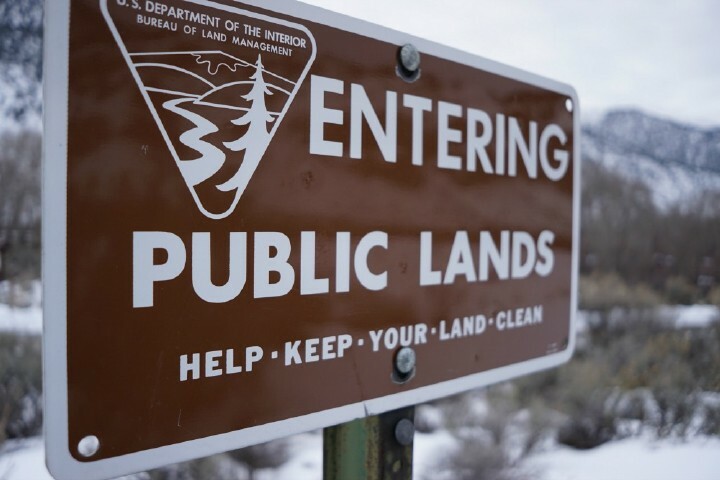 Specific areas include the junctions of Grizzly Creek and the Colorado River, Brush Creek and the Eagle, and Fourmile Creek and the Roaring Fork. There are numerous other areas to find large populations of rainbow trout reproducing and many of them are closed to fishing all together during both spring and fall spawning seasons. Make sure to pay attention to signs along the river’s edge indicating spawning closures, especially while fishing near river confluences. 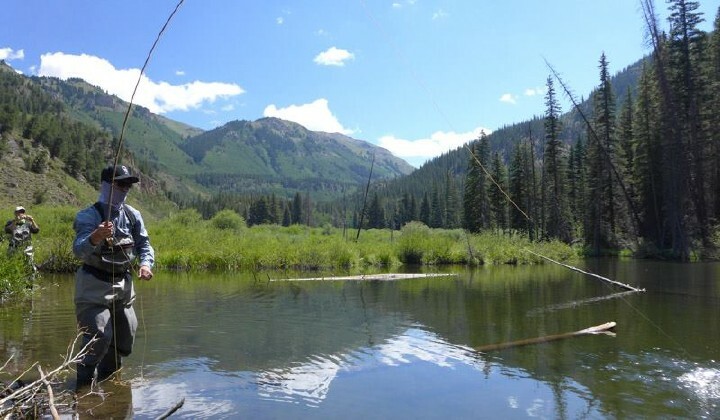 Although they are not a native fish species in Colorado, much of the current population of rainbow trout that swim in these rivers and streams are wild, self sustaining fish. That rely on our careful cooperation to continue thriving. While the rainbows are busy reproducing, they are often exposed and very vulnerable to predators and fishermen. Their selective nature often takes a back seat to a more territorial one while protecting the nest. It can be tempting to cast at a spawning fish, especially during a slow day on the water. But many anglers find that the experience of catching a spawning trout is somewhat anticlimactic. Not only is much of the thrill lost due to the lack luster fight from the often already-tired rainbow. But the experience is cheapened because of the knowledge that spawning fish are much less selective than fish that are not trying to reproduce. Consequently, wade fishermen and float fishermen alike should be on the look out for spawning fish and their nests. Making sure not to walk or cast near them for the duration of the spawning season.